Martin McDonagh’s work is comedy of the blackest order, with characters that cannot be defined as purely “good” or “bad”. This is true from his stage debut, The Beauty Queen of Leenane to his Oscar winning Three Billboards Outside Ebbing, Missouri. 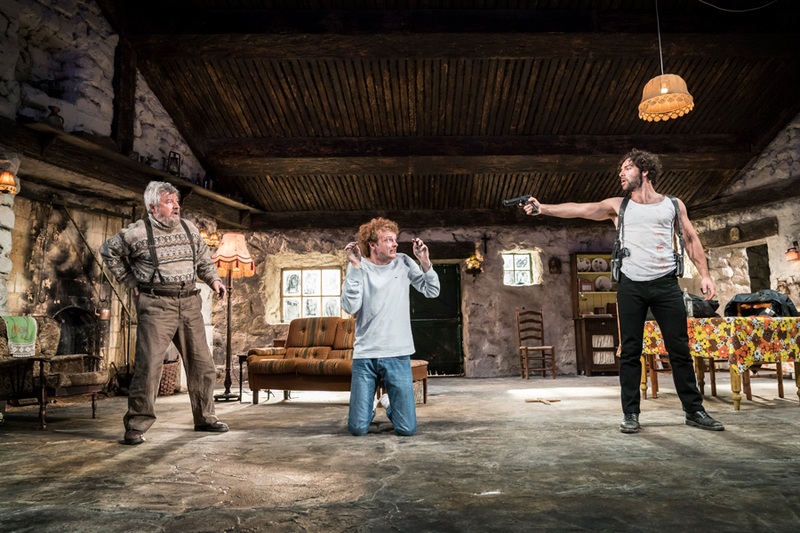 In The Lieutenant of Inishmore, Mad Padraic is a man so violent he has been kicked out of the IRA for being too much, and is working almost as a one man splinter group, planting bombs in chip shops because, “they’re not as heavily guarded as Army Barracks.” We first encounter him torturing a drug dealer when he gets a phone call to tell him that the one true friend of his, his only friend for fifteen years, Wee Thomas, his cat, is ill. He rushes home to tend to him, but Wee Thomas is already dead, and the consequences become bloody, to say the least. 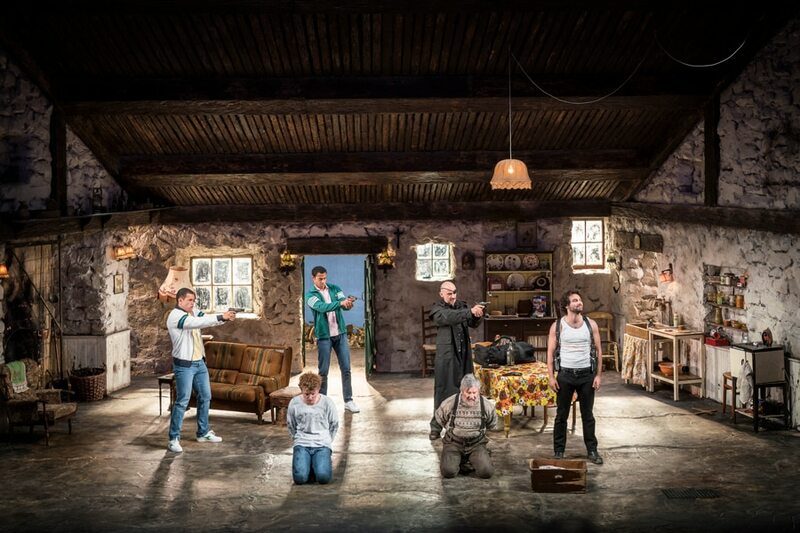 When the play first premiered in 2001, Irish splinter groups were still bombing people, but the Good Friday agreement still holds, and now the play is less politically charged and more a superior black comedy, and looses nothing in that interpretation. 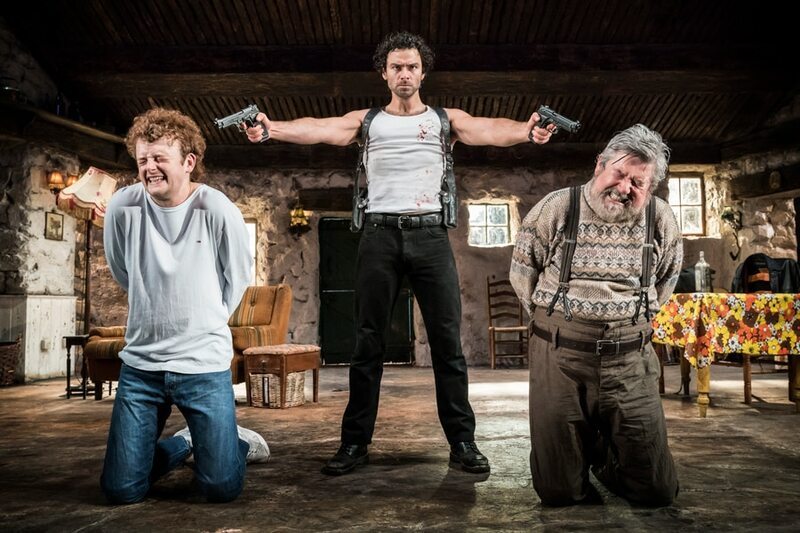 In Michael Grandage’s fine revival, the big draw is Aidan Turner as Padraic. Freed from the Paddington Bear Hard Star and brooding intensity he perfected in Being Human and Poldark, Mr. Turner is having a ball, keeping the laughs coming in an excellent comedic performance, slipping easily between violent intention and execution, (literally), and grief over his lost cat. 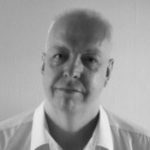 He is surrounded by hilarious performances, most notably Chris Walley as mullet wearing Davey, and Denis Conway as Padraic’s long suffering yet philosophical father. Will Irvine, Julian Moore-Cook and Daryl McCormack are a hilarious and also disturbing trio of terrorists, and Brian Martin does a phenomenal job hanging upside down for most of his scene as the tortured drug dealer James. The production is not quite perfect. As Mairead, wannabe lieutenant and follower of Padraic, Charlie Murphy is often inaudible and a lot of her lines are difficult to make out, her accent thick and the delivery fast. In fact, much as I like a strong pace, in places the pace is almost too quick, and lines are drowned out by the audience laughter. However, if you’re looking for a highly entertaining evening, this is an excellent production if your tastes run to the blackest of comedies. Perhaps not one for the squeamish cat lovers among you, but McDonagh’s genius plotting delivers punchline after punchline, and saves the best till last! Highly recommended.